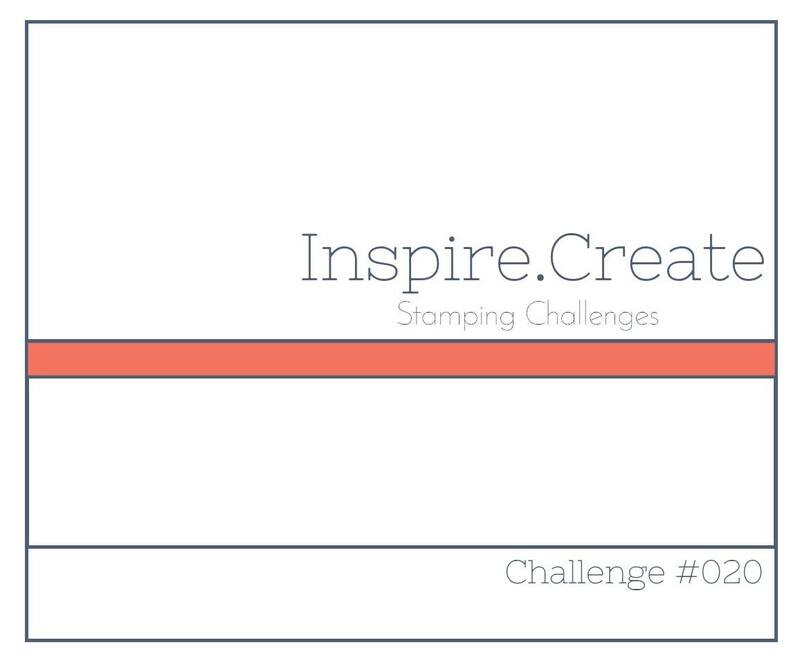 It's time for another Inspire Create Stamping Challenge and this week we have a sketch challenge. I love a sketch challenge. They are perfect to get your creativity flowing and it's always so interesting to see how different everyone's projects are following the same sketch. 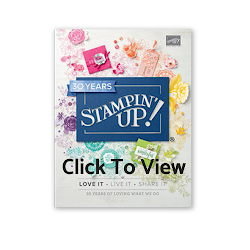 The Painted Glass stamp set is part of the Graceful Glass Suite and has just come out in the new Annual catalogue. I have a close friend whose child has her first communion coming up, the stained glass images and sentiment are perfect to mark the occasion. Here are all the products I used to make the card with clickable links to my online shop. The Vellum papers are part of the suite too. There are so many lovely designs to use. They are perfect as they are but lend themselves to colouring too. 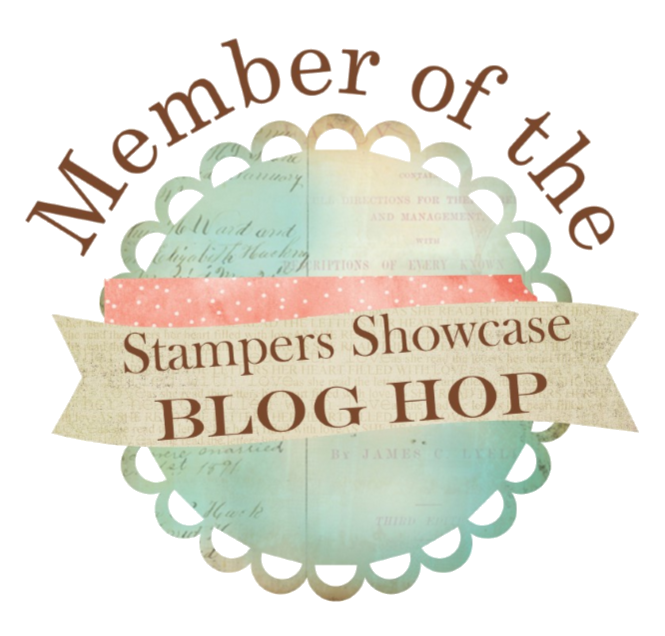 Here I used the Stampin Write Markers in Night Of Navy, Pool Party and Rich Razzleberry. 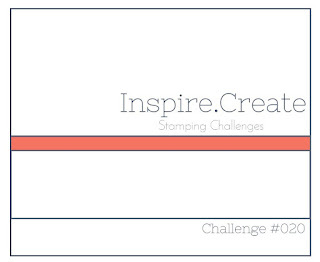 You can see what the rest of the Design Team came up with for the Inspire Create Stamping Challenge came up with here. You can see the entries here too and add your link to take part. Do play along, we'd love to have you! The card base is Night Of Navy, with a Whisper White layer and the Vellum DSP. I have stamped the circle image on vellum and coloured that in the same way. I have used the 2 inch circle punch to cut it out and have backed it with Whisper White cut out in a 2 inch circle. This card is a little different. I have used the classic label punch to punch out an aperture in the front, I have then folded the stamped circle image and placed and adhered it through the aperture so that it pops through the front and when opened is on the inside. Fun isn't it! I'm sure this technique would work well with different fold cards. 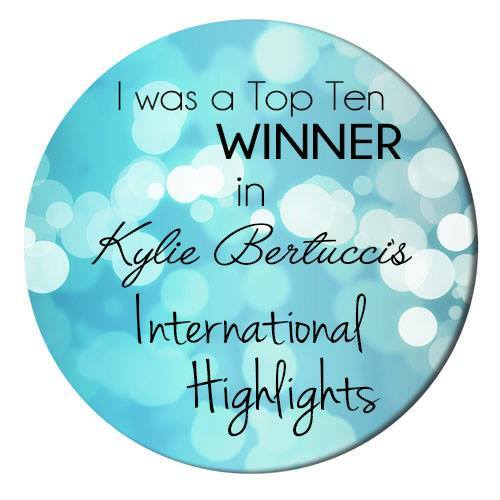 You can shop with me here or click the link at the top. We have a new catalogue !! It is amazing! Full of beautiful paper craft products!- Have you got yours? Let me know if you would like a copy and I will pop one in the post. We also have lots of brand new colours in our colour families. You can see the PDF of the new Annual Catalogue here too or click the catalogue image in the side bar.